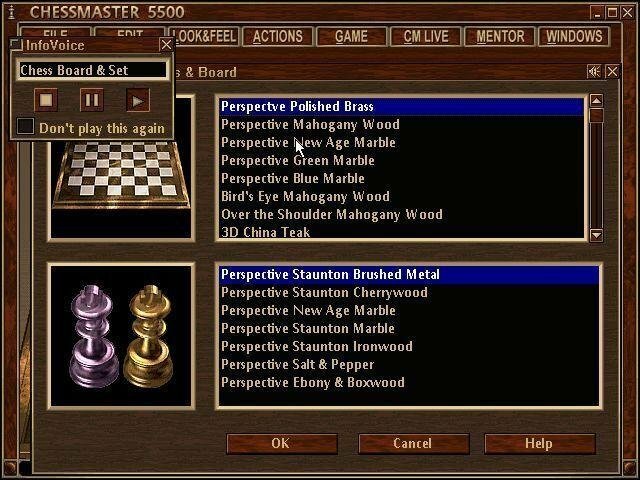 As is standard in the Chessmaster series, bells and whistles abound. 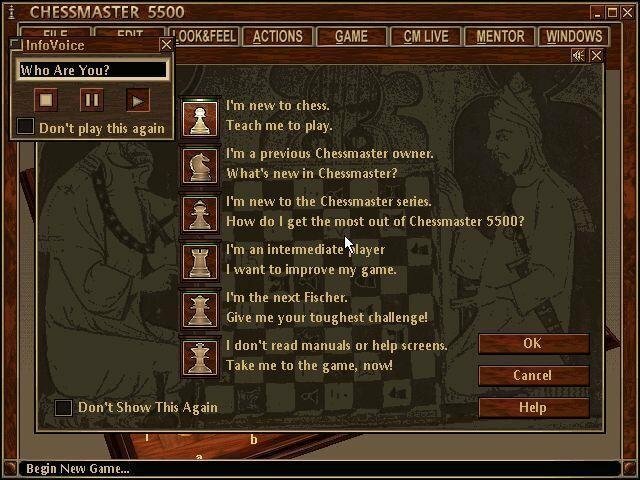 The biggest change with Chessmaster 5500 is the inclusion of voice: spoken tutorials, instructions, game analyses, etc. 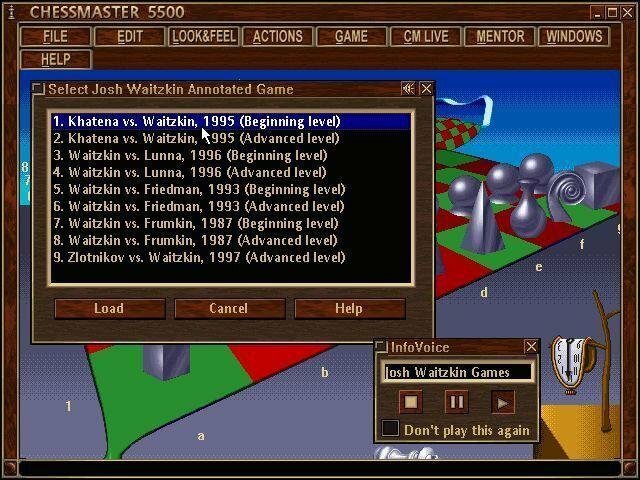 While the voice can quickly become annoying (it can be switched off), many will find the Illustrated Voice Analysis, which provides a “multimedia” game analysis, interesting and fun. 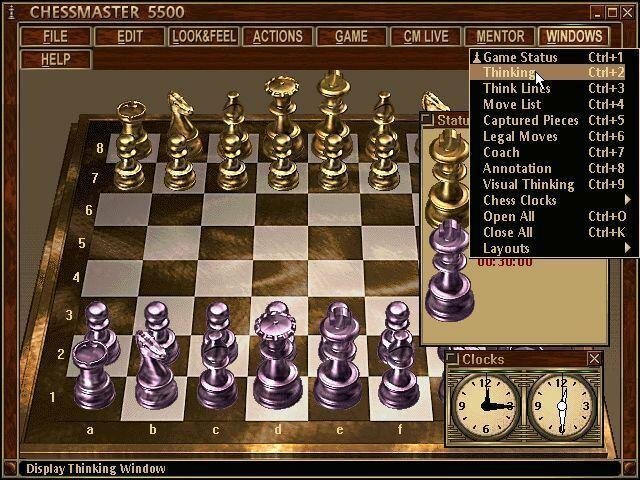 Chessmaster 5500 includes an overall impressive assortment of chess pieces and boards (most being more decorative than playable), and give gamers the ability to design a very nice, practical 2D board. 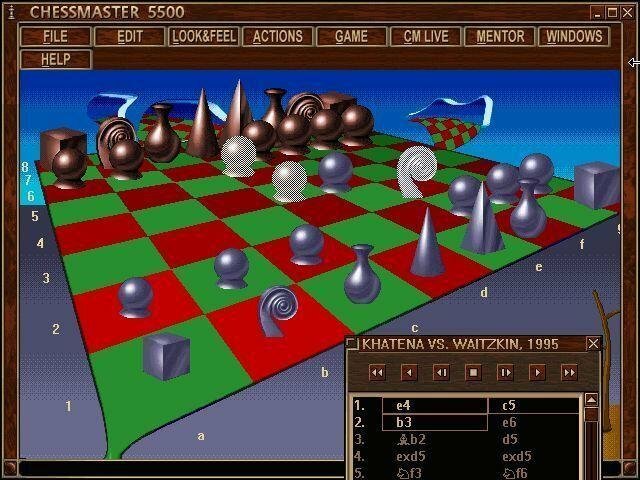 The chess engine itself (TASC 2.55) is unchanged from Chessmaster 5000. 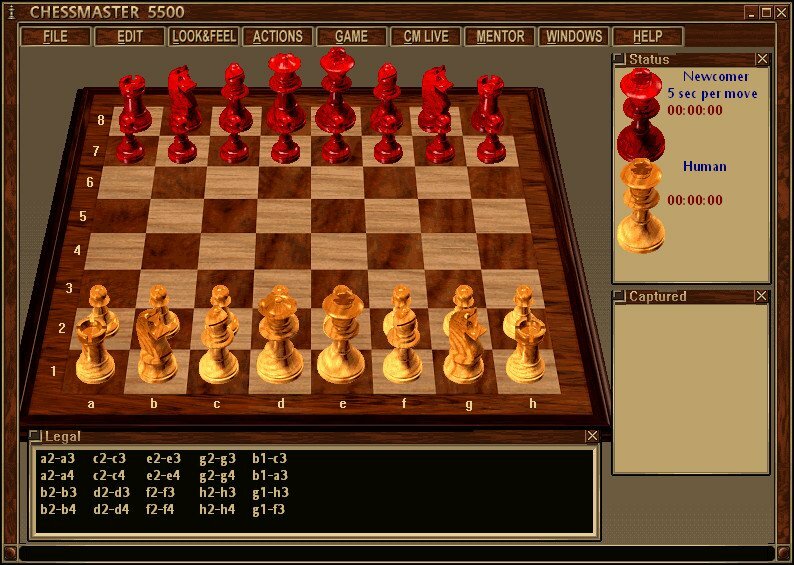 Several tutorials are available, primarily geared towards the new or weaker player. 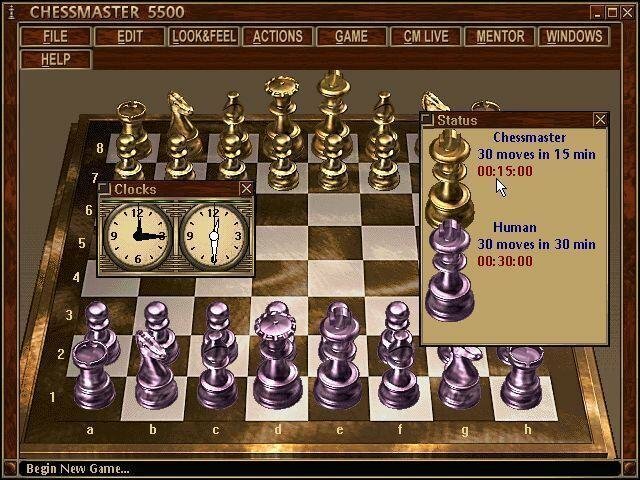 The database of games included is large and diverse and the database bugs observed in Chessmaster 5000 have been eliminated. 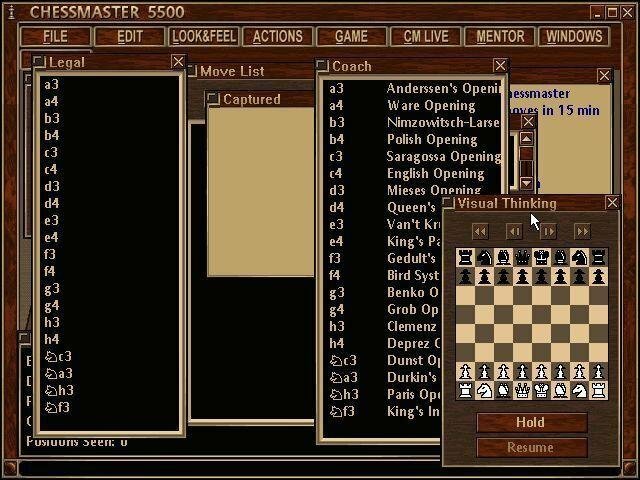 A few weaknesses still exist: the opening book editor is poor, the computer will not resign or offer a draw, the “practice openings” mode is cumbersome, and the aforementioned lack of results notation on the games in the database is inexcusable. 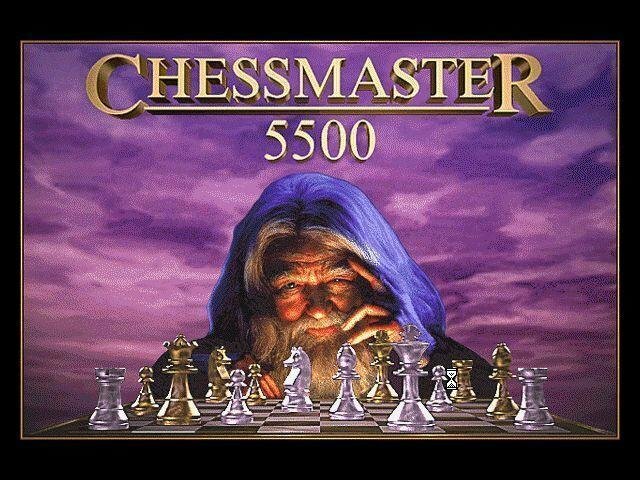 Overall, however, Chessmaster 5500 is a very solid program for the beginning to average player who doesn’t require the extensive study capability needed by serious tournament players. Install, select custom, check every box. 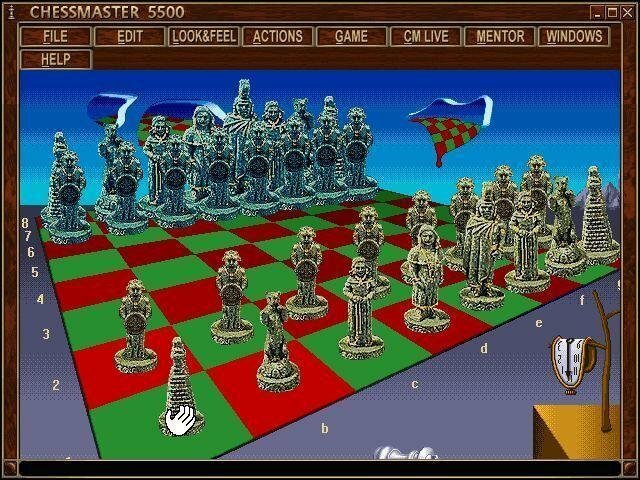 Run on legacy Windows, 98 or 95. Same here game asking about insert cd, already try custom installation it won’t run. How to make it work on Windows 10?